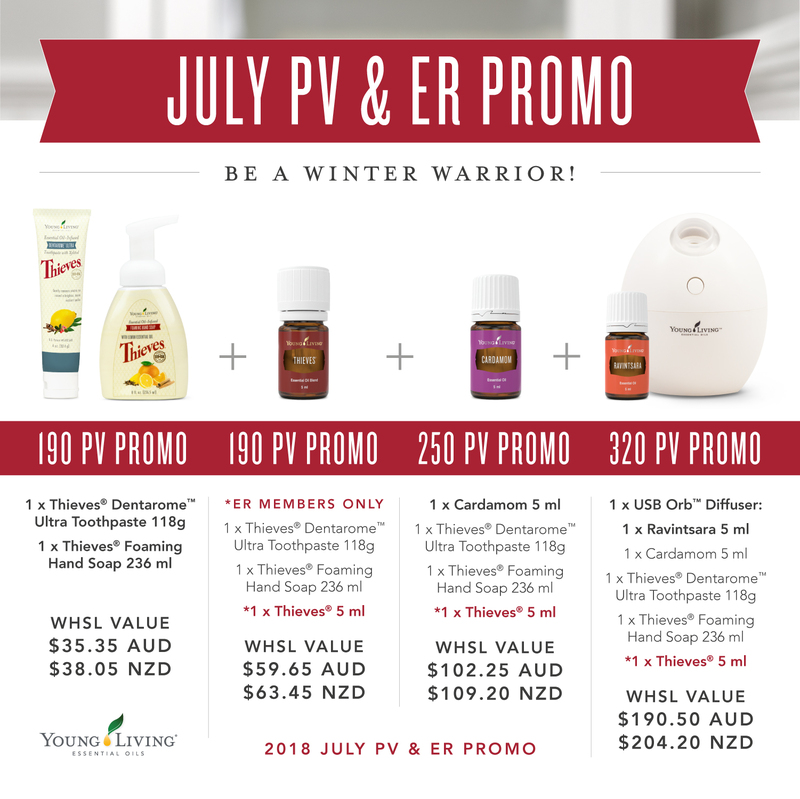 Offer is valid from 12 midnight, AEST, July 1, 2018, to 11:59 p.m., AEST, July 31, 2018. Limit of one free Thieves Dentarome Ultra, Thieves Foaming Hand Soap, Cardamom 5ml, Ravintsara 5ml, and USB Orb Diffuser per qualifying Standard Order. Limit of one free Thieves Dentarome Ultra, Thieves Foaming Hand Soap, Thieves 5ml, Cardamom 5ml, Ravintsara 5ml, and USB Orb Diffuser per qualifying Essential Rewards Order.